Pomegranates are a good source of dietary fiber because the seeds are edible. Adding additional fiber from pomegranates into your diet may help curb food cravings that arise unexpectedly. The pomegranate has strong ties to mythology and various religions. It has also long been thought to possess medicinal qualities. Pomegranates contain a large concentration of antioxidants, which assist in regulating the immune system by combating free radicals. Pomegranates are a jack-of-all-trades due to them being an excellent source of fiber and vitamins C and K, and they are also a good source of potassium, folate and copper. 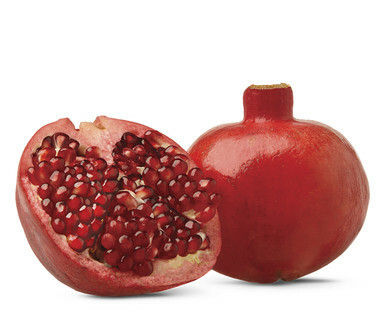 Choose pomegranates that are plump, round and heavy for their size.